This nine-inch bunny with huge, silly ears made of solid milk chocolate is called "Ears," and he's one of our favorite Easter traditions. 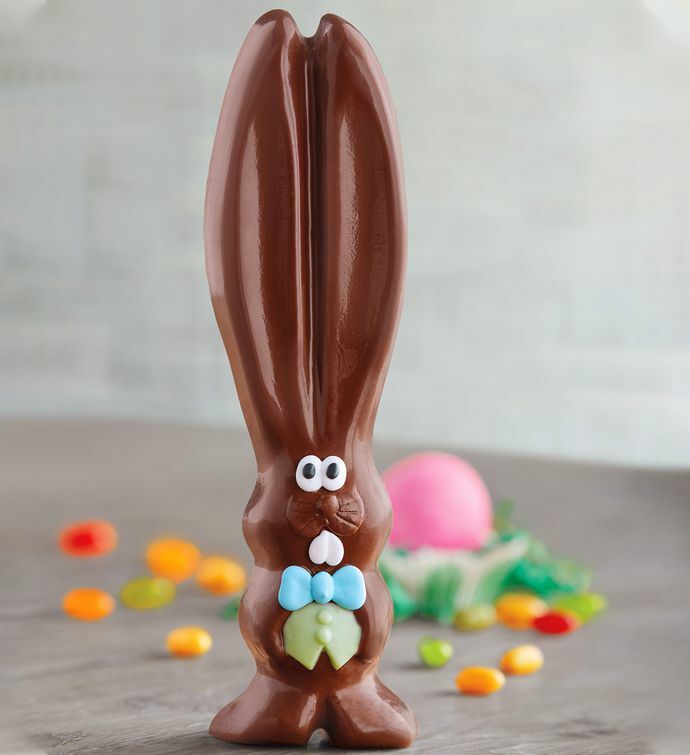 Since Easter is one of the only days we get to eat chocolate for breakfast, we say no to hollow bunnies. Only solid gourmet chocolate ones, made with our secret blend of premium chocolate, will do.